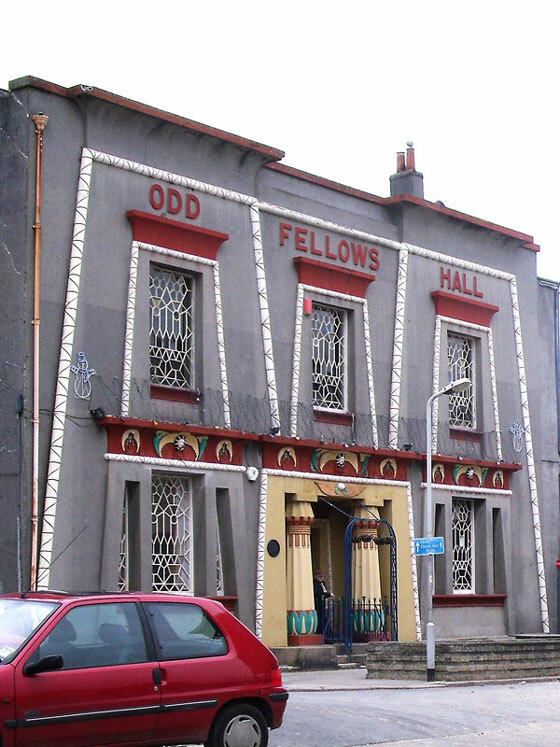 The Odd Fellows Hall is located at the top of Ker Street near the Devonport Column. It was built in 1823 to the designs of John Foulston. When new, it was known as The Egyptian House. There are two Egyptian-style houses in England, the other is in Penzance, but that one is three stories whereas this one is two. 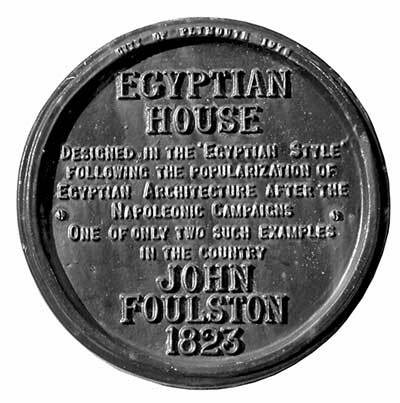 The circular plaque near the front entrance contains the inscription ... "EGYPTIAN HOUSE. Designed in the Egyptian style following the popularization of Egyptian architecture after the Napoleonic campaigns. One of only two such examples in the country. JOHN FOULSTON 1823." 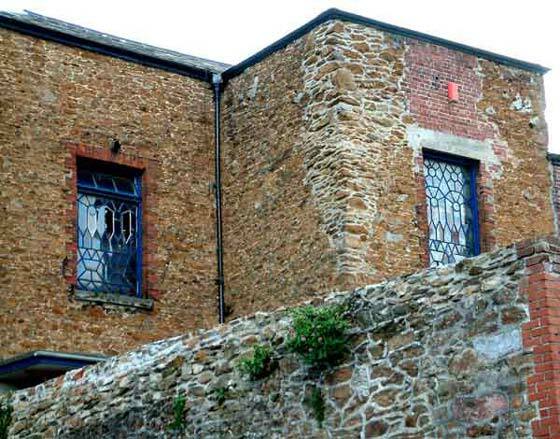 The first tenant of the building was the Stonehouse and Devonport Classical and Mathematical Subscription School. 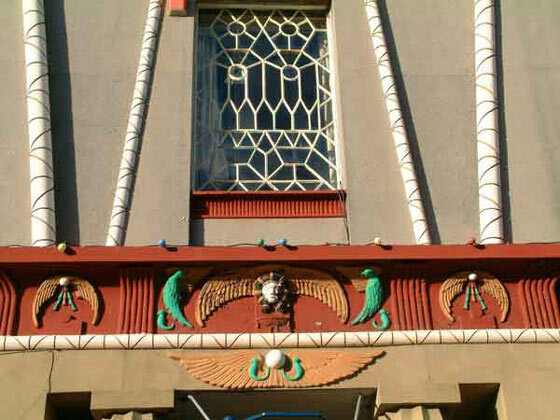 Motifs just above the front entrance, and leaded windows. The Egyptian theme is continued inside the building. The photos below show several of the original features that remain. Windows viewed from inside, with motifs above and shaped surrounds. I'm not sure what this is; it's in the main room on the upper-level and matches the windows. Possibly there is a fireplace behind, now boarded up. 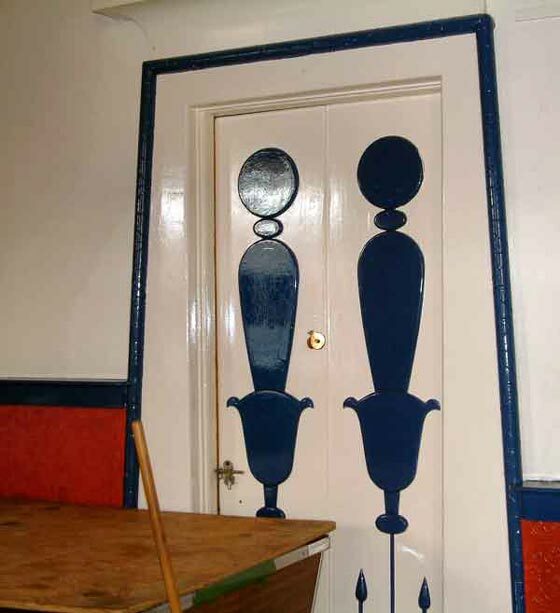 This lovely door is in the same upper-level room as the top images; it too has that triangular shaping to its surrounds. 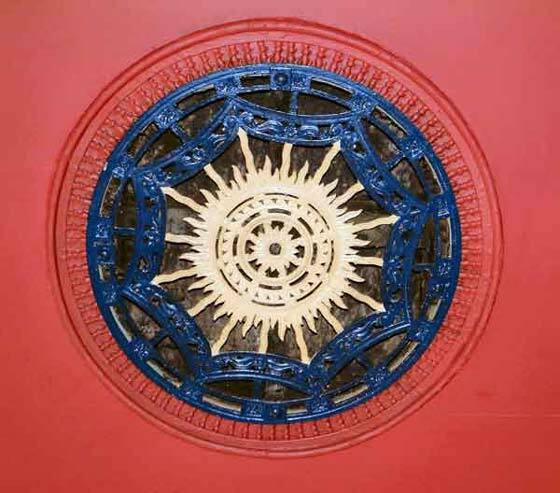 The ceiling rose, again in the upper-level main room. A view of the rear of the building. The stonework is interesting, but has been messed around over the years, by the look of it. Thankfully the original windows are still present. After only a few years the Classical and Mathematical Subscription School vacated the building, having relocated to their Princes Street establishment. It was purchased by the Civil and Military Library in 1827 (1) which opened as a public library and news room. In 1834, Sir John St Aubyn donated a large section of his extensive mineral collection to the library; the mineral dealer Isaiah Deck was commissioned to help with the transfer of the collection. When the Civil and Military Library closed in 1865 its collection of nearly 5,000 books was given to the Devonport Mechanics’ Institute in Duke Street. In 1867 the building was purchased by the Odd Fellows Society. They may have rented the property to other organisations for a while, as the Mount Zion Congregation used it around 1870 (2) - their chapel was immediately next door. Or, possibly, the building was shared. Whatever the cause of the Mount Zion congregation being present, the Odd Fellows continued to own the hall for almost a century. A statement in Hansard (3) reveals it was still in their possession on 23 June 1964. However, the Society placed it for sale not long after this. 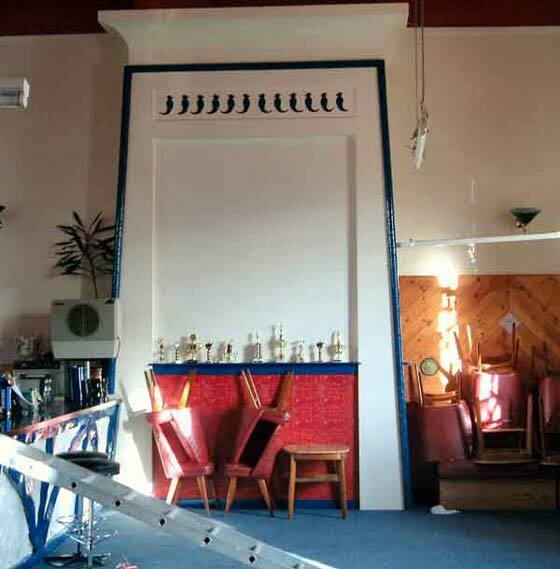 Tony Cooper, at that time owner of The Forum in Fore Street, bought the Odd Fellows Hall around 1968 (4) and converted it into a social club. 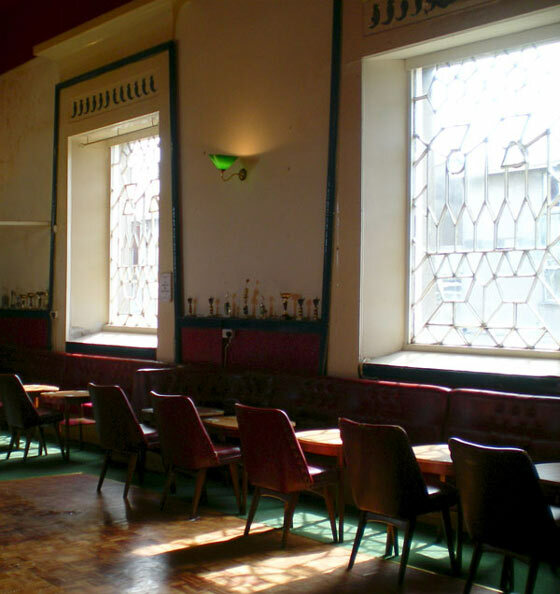 By 1989 Alan and Ann Leaves had purchased the building (5) operating Ker Street Social club ever since. They didn't have to travel very far, for the previous seven years they'd been landlords of the Crown and Column public house just 100 yards away, behind the Guildhall. The club offers a wide variety of activities; several ladies' darts teams, several mens' darts teams, eucre, poole, social events, weddings functions, live groups at weekends and more. It also remains open on Christmas Day and is seen as a community centre by many nearby residents. Several famous people have visited the building; the one time boxing champion Chris Ewbank has presented boxing trophies and Eric Bristow, a previous darts champion, has presented darts trophies, amongst many others. 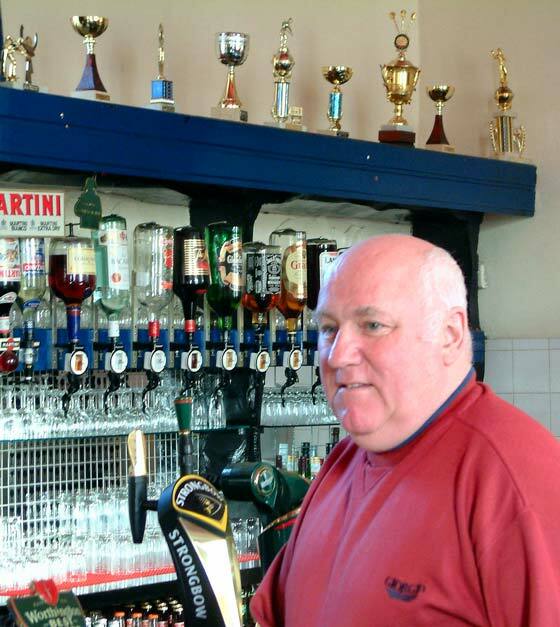 Alan Leaves has been both president and vice president of the nearby Devonport Boxing Club, which holds many of its functions at the Ker Street Social Club. Alan has been involved in boxing in Devonport for many years, going back to the time Flash Acton ran the club - for those who can remember back that far. Alan's wife Ann played a role in the Devonport Regeneration Community Partnership, an organisation that ran the government's New Deals for Communities (NDC) initiative in Devonport during the millennium decade. Today the building is listed by English Heritage as a Grade I structure. 4. Personal communication with Tony Cooper (unfortunately, now, years after that conversation, I cannot recall the exact date, although it was definitely in the late 1960s. I'm almost sure it was 1968). 5. Personal communication with Alan Leaves.